How To Read Price Action? Thank you for spending your time here and for visiting this page. As much as I enjoyed writing the book, I truly hope you’ll find it enjoyable and useful. The fact that you are reading this page shows that you want to learn more. Great! Be curious and be hungry to learn at the same time. Reading price takes time and experience. However, by reading this, I hope I can help you smoothen the journey. Trading didn’t go smoothly initially. Like a lost goat, I was going around aimlessly and desperately trying to make sense of price and price action. Reading books on technical analysis, memorising candlesticks patterns and even becoming a YouTube junkie. It became frustrating and annoying as trading became more confusing at the same time. Thankfully, it didn’t stop there. Reading this right now, it means that you realise the importance of Price action (PA). You’re also probably aware that price is the only leading indicator and common denominator across any market place – be it in the financial market, property market or even the food market – as it is an equilibrium point between supply and demand that is generated from various types of buyers and sellers. While price is simply just a number, it represents more than a number. If you believe that human behaviours – like fear and greed – exist, then you should also believe that price and price patterns represents the very same behaviours in the financial market. Human behaviour drives price and understanding those behaviours leads to good understanding of price action. With that, I would like to invite you explore investors’ behaviors (in relation to price) a little further. Many traders have spent many hours reading books on price patterns, yet many fail to grasp the core of it. Of course, everyone has a different journey and, initially, I struggled as well. It was only later that I found out that it was not the patterns but what is really happening in the market place that matters. Many struggle to understand what was going on between the buyers and sellers because they often overlooked the market psychology driving the prices. This is a book on Market Psychology and the objective of this book is to help traders think about the stories behind the PA (as oppose to feeding you with patterns). 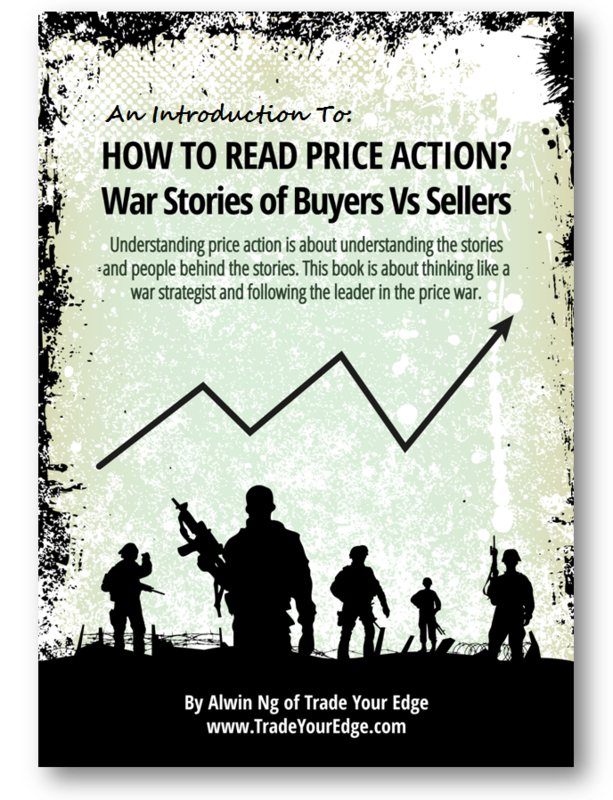 This book is a short guide and an introduction into how I read price and how I interpret the stories of price warfare. It is not meant to be comprehensive in nature and it’s primarily focused on understanding the psychology behind buyers and sellers, which I will illustrate using simple price patterns. Price analysis will give you the review you require to build a market bias. With that bias, you will gain an advantage over the market. Understand the story and psychology behind Price Action Forex trading! Understanding Price Action means to look beyond the patterns. We bring to you an introductory guide on price action trading strategies, market psychology, identifying market players, and interpreting Price Action patterns. Here’s your chance to build a winning trader’s mindset! Grab your copy now! Pricing action trading is all about predictions and speculations. It requires thorough and focused analysis of past trends and the effective use of technical analysis tools. All those technicalities can get overwhelming; therefore, we have taken a completely different, yet extremely effective, approach to it. With Trade Your Edge’s, How To Read Price Action book, you can master the best and most effective price action trading strategies. Invest in it now. Just so that you’re not caught by surprise, the follow are the topics covered in the book. How Can I Benefit from The Book? The book is neither about Fundamental Analysis nor is it about Technical Analysis. In essence, it is a different perspective to Market Psychology (in relation to Price Action). On that basis, you should start to think, watch and feel the market like a war strategist and to understand the battlefield through market psychology. Because human behavior cannot be categorised in either black or white, you should not used the ideas here in isolation. To benefit from the book, make sure to use your existing analysis and apply the concepts here only to compliment what you have. Be very curious and very imaginative at the same time. The objective of the book is to provide new perspective to price action reading, hence, the more curious and imaginative you are, the more you can appreciate the book. What is NOT in The Book? This is not a technical book but it is aimed to provide new perspectives to readers when they are in the market. Also, in order to fully appreciate the book, it’ll be useful if you have had read some basic articles/materials on candlesticks. Even from an early stage in my development in to forex trading, all I kept seeing were references to ‘The Art of War’. I tried listening to it but quickly got the main points but didn’t feel like the rest of the book was going to help me understand trading any more. However, your reference to the on-going battle between Bulls and Bears makes complete sense and has allowed me to recognise what is going on with each candle. This gives me the benefit of standing back and looking at the bigger picture rather than to try and trade just candle patterns and hope they work out. Your book is well written and enough to keep the reader engaged but not loose interest by labouring any specific points. The Cheat Sheet would be better if it could be optimised over two pages to put on a wall or a handy page to have on the desk. I think an improvement would be a follow on to either a course or another book with building a trading strategy using your principals. I finished the book wanting more and was convinced that you knew how to help the reader advance into a profitable trader. 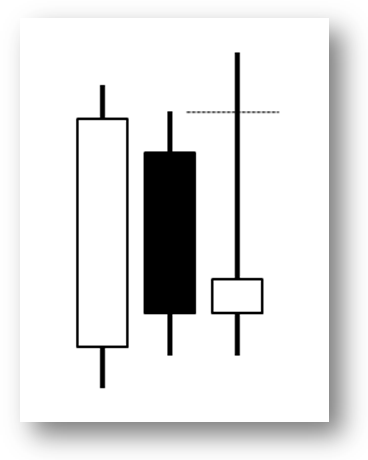 I like Alwin’s “How to Read Price Action” because it teaches me not to blindly look at candlesticks and charts to trade but to understand the human emotions and behaviours of what the market players are thinking behind these candlesticks and charts. A simple message in the book but paradoxically there’s nothing simple in its eloquence is the central theme of following the winner in a war. Don’t join the loser in a war, articulates Alwin. This is so true when the bull takes over you don’t want to be a seller. And when the bear winning the war neither would you want to be in long position. Read this book to understand the psychological warfare between buyers and sellers and then join the right side to win your trades. Have read your book tonight and think its great. Its very easy to read and understand. Moreover its enjoyable much more so than Al Brooks! The principles are simple and I especially like the way you look at grouping more than 3 bars. To date in my trading I have only ever combined 2 bars and I don’t use naked charts so I will try it out.